Registration opens at 5:00am; however, bikers are not allowed to start ride until 5:30am to ensure route/rest stops ready AND safe. 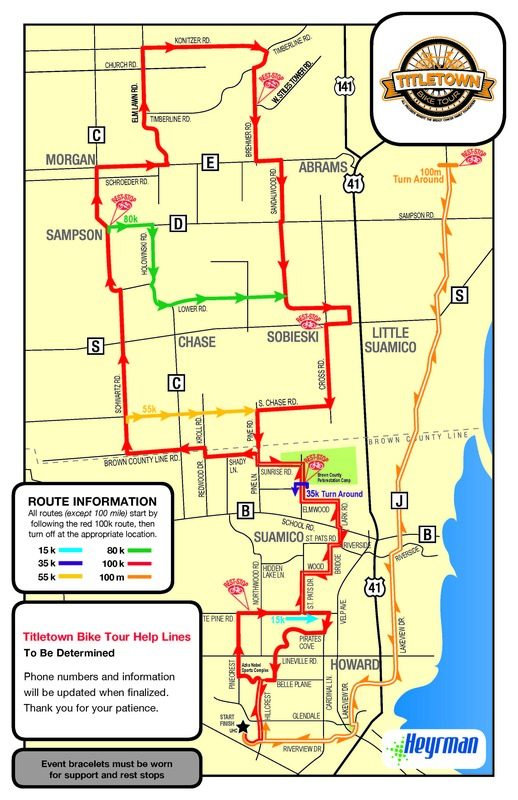 All routes start and end at United Healthcare in Green Bay (3100 AMS Boulevard). New this year – all routes included in basic registration (15/35/55/80/100K AND 100 mile loop)! Rest stops are conveniently located and support vehicles will patrol all routes. Be sure to bring a map and cell phone. 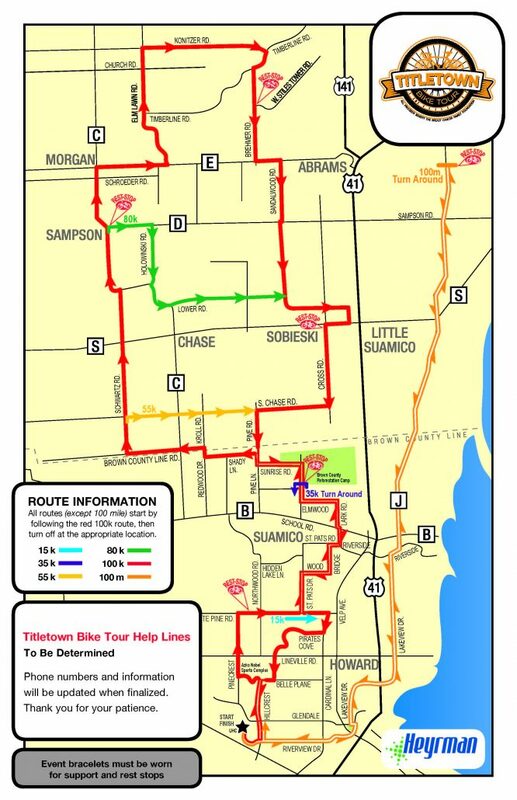 100 Mile riders are required to ride the “100Mile Loop” first (40 total miles–20 out and 20 back to UHC) and then proceed to ride the 100K loop (60 miles). 100 Mile rest stop is only open 6:30-8:30am. All riders must wear a helmet and event bracelet (100Mile will have different color). All riders must check-in at end of ride to ensure all return safely. Print your route map here.